One of the most influential leaders and pioneers of the Civil Rights movement has passed away this month. Clara Luper was well known for organizing several non-violent sit ins and protests of various businesses in the name of freedom and equality in the early days of Oklahoma. Because of her dedication to the freedom fight, long ago Luper was pegged as the Mother of the Civil Rights movement. In 1957 Luper became the adviser to the NAACP Youth Council. In 1958, with Luper in charge, the NAACP Youth Council made the brave decision to stage a non-violent sit in at Katz Drug store, then located in downtown Oklahoma City. Luper obtained a bachelor’s degree from Langston University in 1944 and later earned a master’s degree from the University of Oklahoma in 1951, becoming the first black person to graduate from OU’s history program. She taught at many of Oklahoma’s rural schools such as Dunjee High School and John Marshall High School. 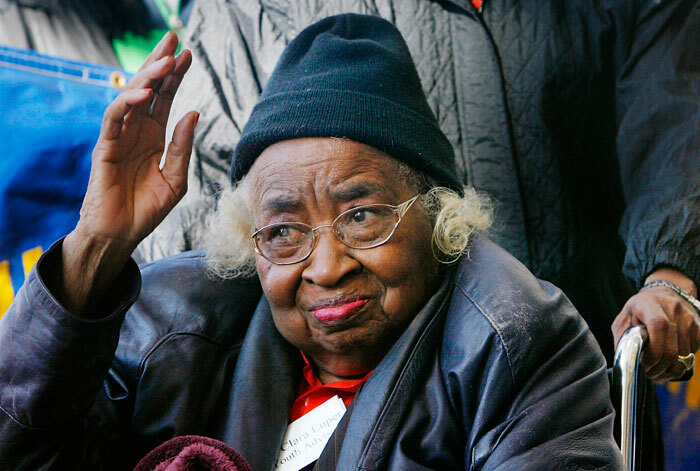 In her fight for Civil Rights Luper was arrested at least 26 times. In an effort to intergrate public restrooms and facilities and businesses, Luper also led Tulsa’s first freedom march. It is noted that Luper has received at least 471 awards throughout her lifetime as well as had a bill passed to name a state highway after her. She also fought for equal rights for everyone across this nation and marched on Washington with Martin Luther King. Luper affected many peoples’ lives of all races, cultures, classes and creeds and will be severely missed.